With the simple shake of a bottle, this radically different liquid-to-powder texturizer delivers a micro-fine mist to create drama-filled, voluminous hair. Spray it, layer it, play with it for buildable texture in seconds. 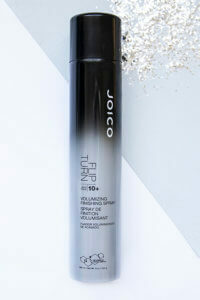 The transformative formula turns “plumping” powder into a versatile mist for easy application without unsightly residue. So far I am loving this product. I have a fine hair cut into a bob and it helps plump my hair. My hair is very sleek and it gives me texture as well. Make you sure you shake well spray no more than 4 sprays, then shake then 4 more sprays, If you don’t shake enough your sprays will be more wet and seem not to turn to powder. Hair Shake Liquid-to-Powder Texturizing Finisher is ideal for any hair type, color, texture, or length. Directions: Simply shake and apply six inches from dry hair. Tousle and mold strands as desired, adding additional product for buildable texture. A perfect combination of protective ingredients, plus state-of-the-art technology, puts this powerful, buildable texturizer on the edge of style. 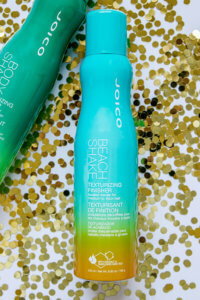 I personally am passionate about Joico products. I met Joico 5 years ago and since then I am no longer using the great variety of products on my clients in our classroom. Terrible product. It’s not only drying, it does absolutely nothing.Save your money – unless you like sticky, dirty, flat hair. It does the opposite of what it claims. This product did nothing for my fine hair. It was very difficult to wash out and just made my hair a mass of tangles. I won’t be buying this product again.